Some of the best arrows in his quiver are the jets of Air Tahiti Nui, the gateway to the world’s favorite romantic paradise. The islands of Tahiti have seen U.S. tourist arrivals climb dramatically in the last four years. Between 2009 and 2013, North American arrivals to Tahiti rose from 40,780 to the 54,000 it reached last year, a 32 percent growth or an average of 8 percent per year. The islands (there are 118 islands in French Polynesia) have also benefited from star turns on "The Bachelorette" and "The Amazing Race." Few destinations anywhere have a more integrated tourism industry than Tahiti where tour operators, hoteliers, the tourist office and the flag carrier Air Tahiti Nui work together to create products that move seamlessly toward the point of sale and the travel agent network. Over many years, Tahiti has learned that the more distant and exotic the destination, the better it is to show the client an air- and hotel- inclusive package, with a low price point. 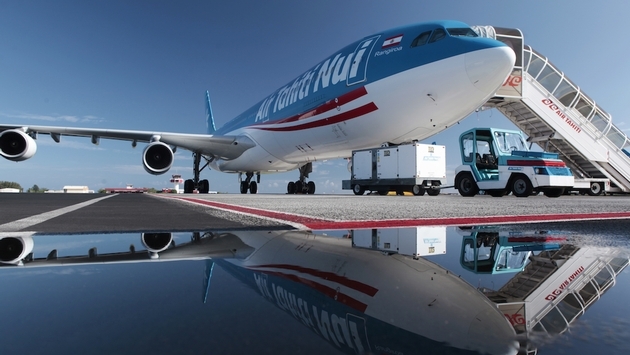 Air Tahiti Nui is promoting a series of nine air inclusive packages from Los Angeles that present Bora Bora, Tahiti, Moorea, Rangiroa, and Taha’a in a variety of combinations all with very attractive price points, under 3,000 all using deluxe and first class hotels. The five-night package entitled Tahiti’s Hidden Paradise, for instance, features Tikehau, an island off path from the better known triumvirate of Tahiti, Moorea and Bora Bora. The package with a really attractive price of $2,398 per person double includes roundtrip air from Los Angeles, inter-island flights, a flower lei meet and greet with transfers and porterage, daily breakfast and a shell lei on departure. As always in Tahiti you do well to purchase a meal plan as meals in the resorts can be quite pricey. French Polynesia competes with Hawaii, Mexico, the Caribbean, Europe and Fiji for the same group of travelers. For years Tahiti Tourisme has considered the Overwater Bungalow a Tahitian specialty of iconic standing. In its marketing, Tahiti Tourisme stresses the destination’s lack of large mega hotels, and its powerful scenic combination of small islands and dramatic mountain profiles.